• Great to have when the weather is cooler but you don’t want to wear a jacket. 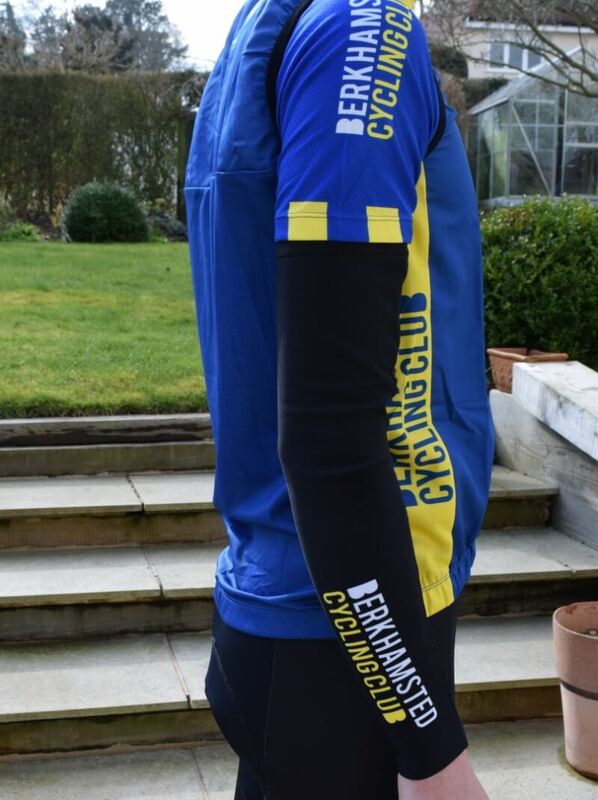 • Stretchy fabric to fit most riders. 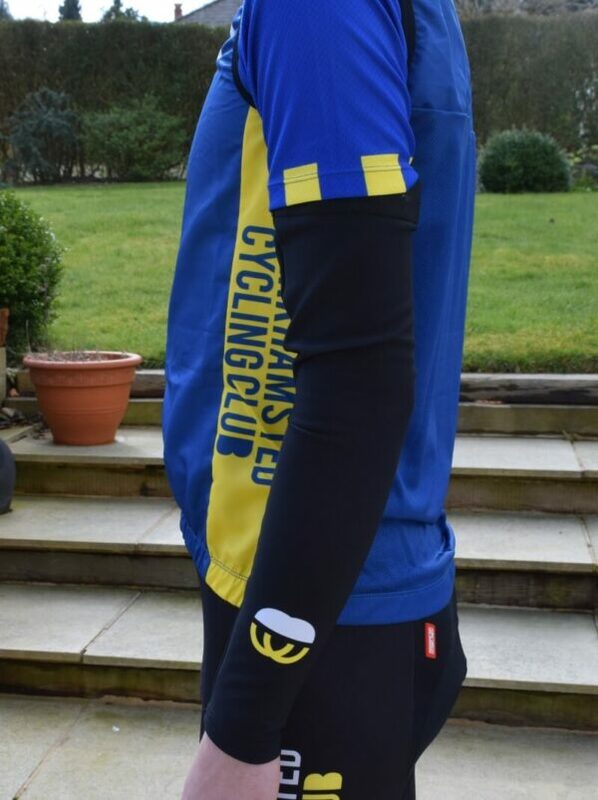 • The arm warmers are collection only after the Saturday club ride or by prior arrangement with the club Kit Officer. • If the size arm warmer you require is out of stock please click here to fill out an order form with your request and we will add it to our next order.